March 3, 2013, 1:30 p.m. Piano Sunday's at Old Capital Special Program of the Iowa Chapter of American Liszt Society, featuring Professor Roth and his students from Drake University and Professor Ksenia Nosikova and her students from the UI. The program will consist of Liszt’s transcriptions of Wagner and Verdi to celebrate these two composers bi-centennials of their birth. 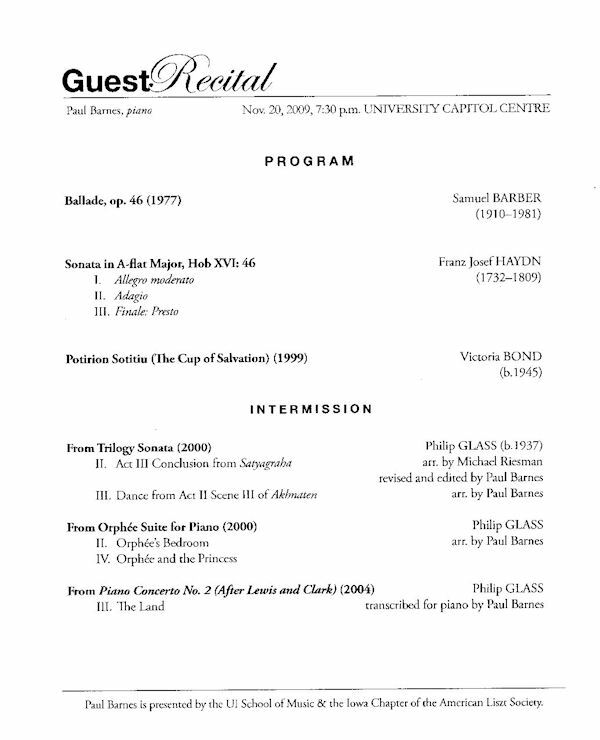 Recital presented by the UI piano faculty and students. 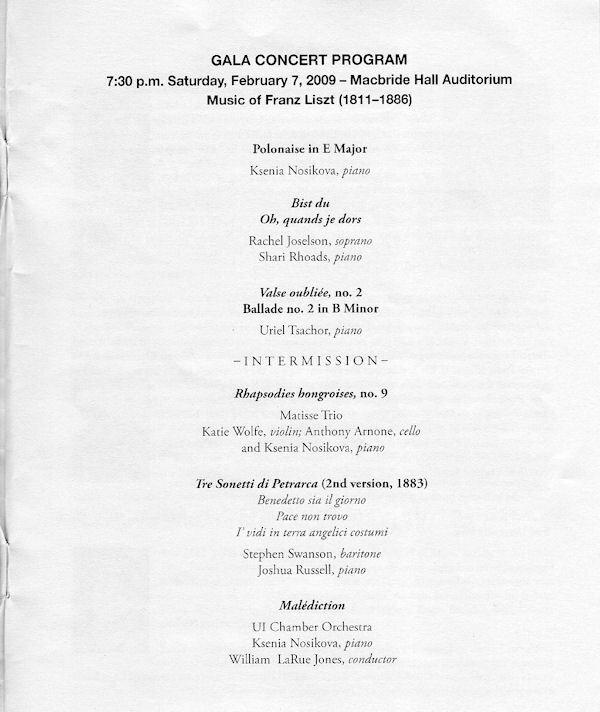 William David, member of the piano faculty at the Iowa State University, and their students.